Things to be positive about in 2019! At KKB we talk a lot about change. Things that we can do to help promote positive changes in the environment and also things we need to change for the future prosperity of our planet. But today we are gonna focus on positive things and highlight amazing things individuals are doing around the globe to help save our planet! 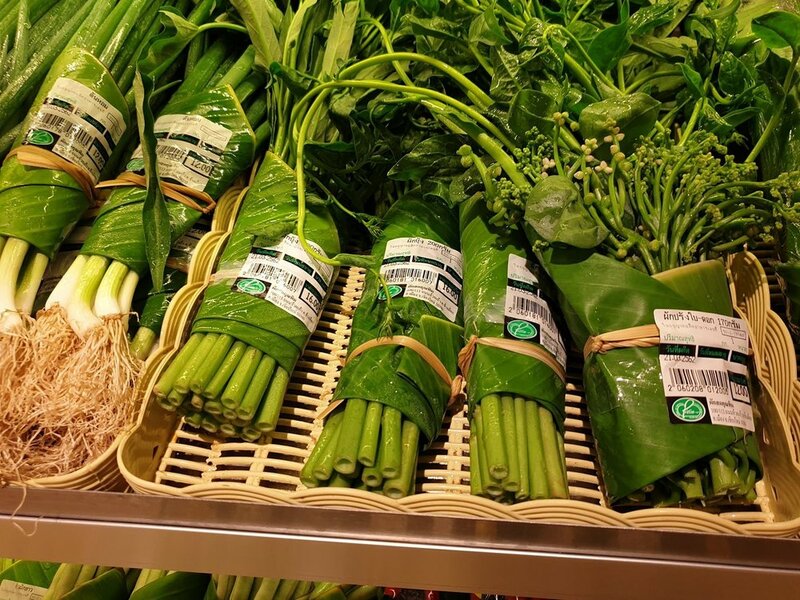 This Thailand supermarket tackles the use of single-use plastic by using banana leaves as wrapping material! It still requires a small amount of plastic material but is a huge step in the right direction for eliminating the use of plastic. Animals bouncing back from the endangered species list: Something to be continuously positive about is our little furry or non furry friends getting off the endangered species list! Recently we have welcomed the long-nosed bat, the Louisiana Black Bear, and even the Giant Pandas off the list. World Wildlife is continuously taking steps to conserve our land, plants, and animals that live on it. The Ozone is healing: The world’s protective Ozone layer has been taking hits for years and years. The topic of the thinning of the Ozone layer has been a hot one and the effects of aerosol sprays and coolants have been thinning our ozone since the 1970s. But, great news! A United Nation report states that it is finally healing! In the late 1990s, about 10 percent of the Ozone Layer had been depleted. But, there has been around a 20 percent decrease in ozone depletion from 2005 to 2016. We are in the beginning stages of recovery. We still have more work to do! Awareness: It seems that as we take 2019 head on, people are starting to connect the dots. They are waking up and realizing climate change is real and that it is happening all around us. We have people making their voice active and being advocates for change. We have more community groups more than ever taking care of their local areas- like KKB! Keep America Beautiful has affiliates around the country promoting change and impact. The Bees: Bees entering the endangered list in 2017 took the world by storm. It seemed as no one realized the impact we had on the little guys! But while honeybees are still on the endangered species list, there is something to start buzzing about. The Planet Bee Foundation is taking major steps towards addressing the issue. From community programs, consisting of beekeeping workshops to educating the youth of all ages on the entirety of the bee world. The Planet Bee Foundation is a positive outlook on 2019 and taking us one step closer to saving the bees. While as a planet we still have a long way to go.. there are so many things to step back and be positive about. 2019 is the year of change and we at KKB are ready for it! Sign up with your email address to receive KKB stories in your inbox! Older PostMake your office greener!